A Republican North Carolina senator had this to say in an email late Thursday to one woman’s criticism of surprise, GOP-led voting reforms unveiled at the legislature this week. 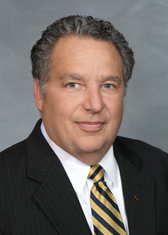 On Friday, Policy Watch obtained a copy of the terse email exchange, in which Sen. Rick Horner, a one-term Republican who represents Johnston, Nash and Wilson counties, took a Raleigh woman to task. Horner was firing back at Joanne Rohde of Raleigh, who blasted GOP legislators for their efforts to overhaul early voting and voter ID laws late in the short session. Rohde is not one of Horner’s constituents, but her email—which was timestamped at 10:59 p.m. Thursday—was directed to all of the state’s Senators. Horner’s reply was sent at 11:06 p.m. Thursday. Our State Legislature is the poster child of hollowing out Democracy from within. Shame on those of you promoting legislation that thwarts the intent of the Supreme Court ruling. Shame on those of you limiting our basic right to vote. Shame for sneaking around in the middle of the night changing laws without public discourse. You think no one is watching, or no one cares; or maybe you just think [you’re] untouchable. But you’re wrong. Not only will I cast my vote against those working against our democratic principles, but I will spend my weekends knocking on doors and making calls to make sure that as many citizens as possible know what you’re doing. And I assure you, I’m not alone. It appears the lawmaker copied all of his Senate colleagues, both Democrats and Republicans, on the response. It’s unclear whether that was intentional or unintentional. Horner couldn’t be immediately reached for an interview Friday afternoon. Voting rights advocates are fired up over new Republican proposals to nix a major early voting day and revive voter ID requirements. 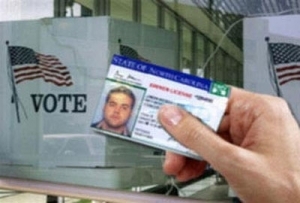 House Speaker Tim Moore announced the voter ID bill Monday, which would put it to voters to decide whether the state requires mandatory photo IDs at the polls, an idea that’s been widely denounced for its potential impact on minority voters. The new legislation is awaiting review in a House elections committee. The bill’s sparked fierce criticism because it would do away with early voting on the Saturday before Election Day, a particularly popular day. The legislation swept through the state House Thursday and Friday amid often bitter debate. After its approval Friday morning, state Senate lawmakers placed it on their calendar for a possible vote Friday.